Allows you to find a friend who could help you to get involved into the new hobbies you might be interested in. We reached most of the goals. How to create a browser plugin which actually works. 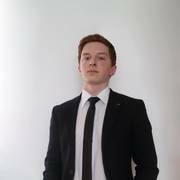 A second year degree apprentice at Accenture studying software engineering who enjoys gaming, muay thai and all things tech!